Before we dive into it, it’s important to first distinguish that visual merchandising is not merchandising. The former (as shown in course 2) involves analysing product performances, while the latter is more of a marketing effort. Physical visual merchandising is handled by a visual merchandiser whose duties include designing specific floor plans, creating 3D product displays and designing window displays to attract customers. The first thing a passerby sees when approaching your store is your window display. 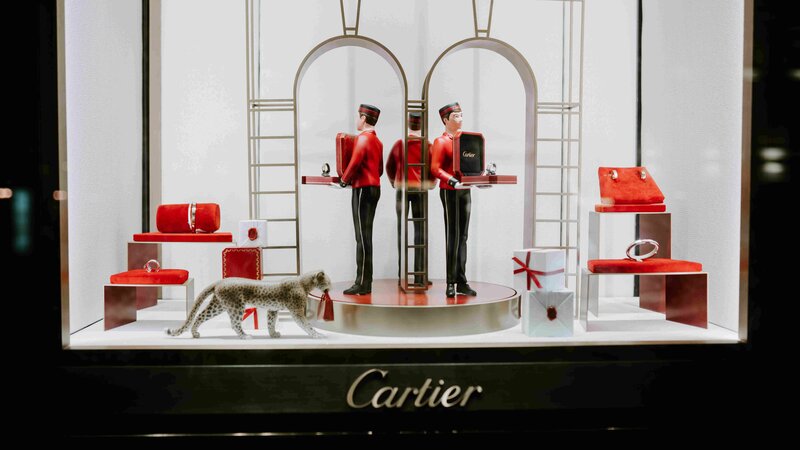 Window display showcases a brief summary of what your brand is, and is often the main driver for foot traffic. Therefore, ensure that whatever you are showcasing at your window represents your brand best and captures the attention of shoppers. Your displays should be updated according to new assortment or seasons/holidays. A good example of this is the Christmas season. Big department stores and shops on the main street will have elaborate window displays to attract customers who are out shopping for gifts. Windows are also very effective for communicating any promotional campaigns such as special deals and sales. If your display window has succeeded in drawing in customers, the next thing they go through is the layout of your store. The navigation and display of items should have a seamless flow so shoppers can feel at ease – not confused and frustrated. It is said that 90% of customers turn right when entering the store, therefore it is important to map out the customer’s journey from start to finish so they can exit the store happily. Where and how you display your items can also affect the purchasing decisions of shoppers. There are 3 common store layouts; Grid, Loop and Freeflow. 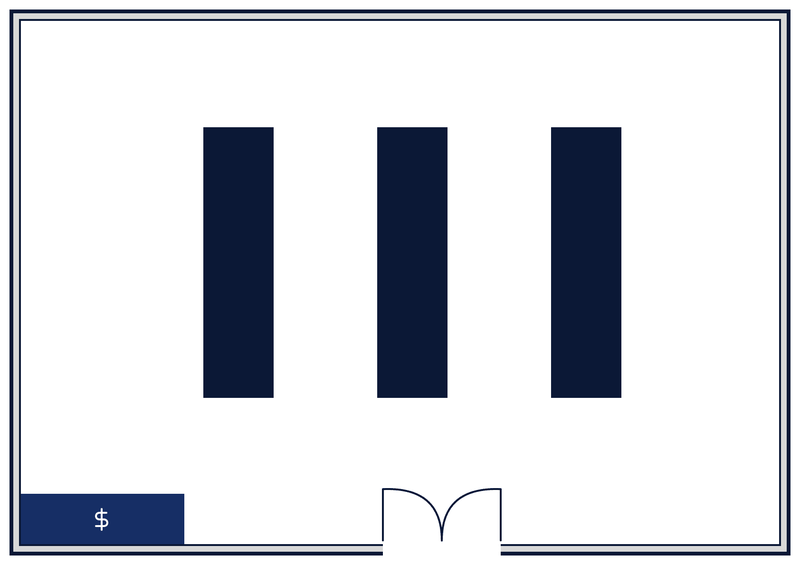 Grid – This is the most traditional aisled concept. Although very functional if you have a lot of products, it is not the most interesting layout. 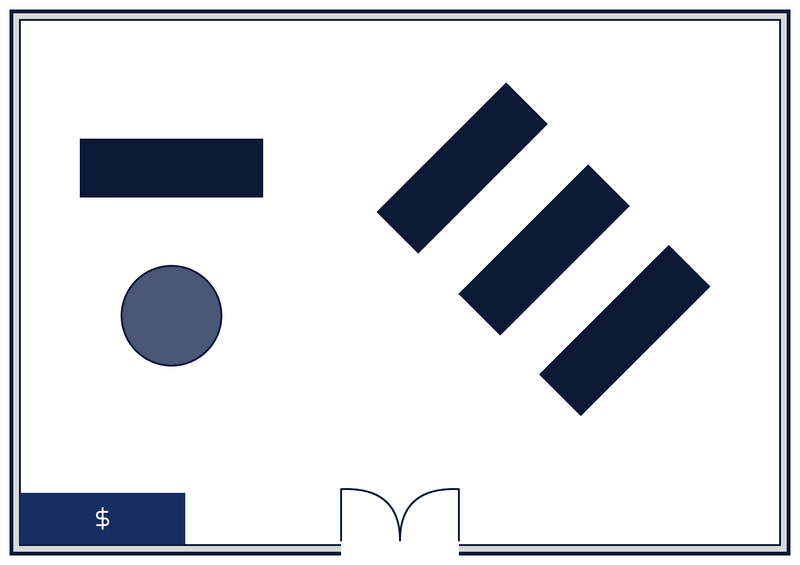 Loop – A loop layout is when the checkout counter is positioned in a central position in the store and items are positioned around the counter. 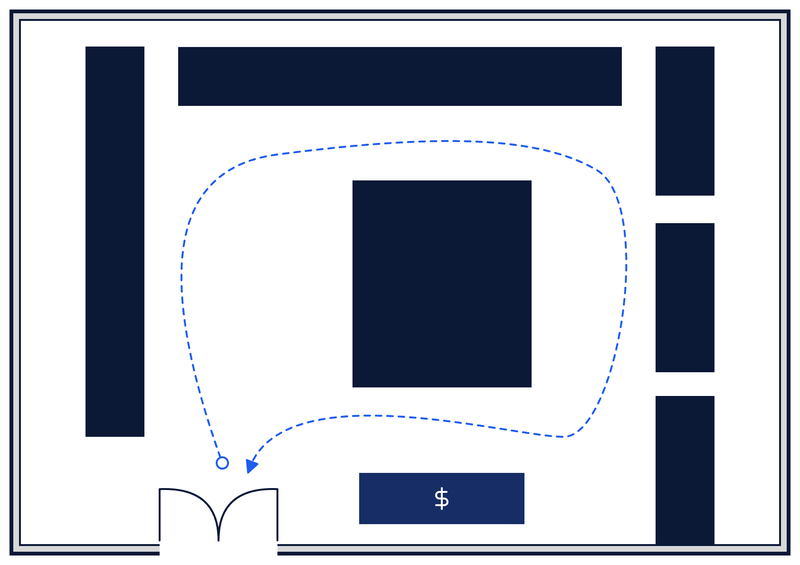 This layout is called a loop because the customers will have to follow along the path to reach the checkout counter and exit. Free flow – As the name implies, you are free to position things as you wish in this layout. Most often than not, retailers will combine these layouts at different positions of the store. A Grid is best for displaying shoes. You can use the Loop layout to display clothing items or position your small accessories in the Loop layout at the checkout counter. Under store ambience, there are different settings that can make or break the mood. A pleasant ambience allows customers to feel comfortable, thus encouraging them to shop more. The key to getting a good store ambience is the lighting – the mood of the store can be greatly impacted by how the store is lit. Always ensure your product are well-lit so that customers can clearly see them in the store. When displaying mannequins or displays, the most common method is to use the rule of three. You will see this trick being used to display bags or shoes the most, especially if they come various colourways. Side by side or on a tiered display, group your products by three. Eye-movement tracking studies suggest that grouping by three encourages the eye to move if compared to just displaying one or two items. Asymmetry makes the human eye more attentive, which is why the rule of three makes products look more attractive. In a fashion store, you will often find jeans displayed next to jersey tops or sweats, instead of smart shirts. If your store has multiple product categories, it is best to position these products together. As this will be more convenient for customers and look more organised. In department stores, for example, bags are commonly positioned near scarves and hats. You see this in sportswear stores as well, the shoes will be arranged according to their purpose – running shoes will be positioned on one wall while tennis shoes will be on another. For fast fashion retailers that react to trends quickly, you can position these trend-driven items at a central position in the store that can be easily seen by customers. Alternatively, for those who have multiple product price points, you can position those products accordingly. To attract price-conscious customers, you should position your sale items or “value-buy” items in the same location. Typically, visual merchandisers would arrange these sections closer to the back of the store so that customers will have to walk through the new items to get to the sale items. Other things that can contribute to the ambience are furniture, decorations such as a feature wall, background music or fragrances. Whichever layout you choose, it should motivate impulse purchases. Placing baskets in certain areas, small items along the checkout line and placing newer items at the front are tricks to trigger impulse purchases. Clustering items by themes also help. As an example, in H&M all the office wear are placed together. A customer might come in for a pair of trousers but after seeing the trousers placed next to a shirt, they might pick up the shirt as well.